To use it, the shells were ground fine then steeped in brandy or boiled. It was then strained "through a fine sieve" or cloth; or boiled while tied in a cloth (muslin, "linen-rag"). The male insect, on the left, and the female, on the right, are magnified. It is the female insect that is so much prized for the beauty of its color. A small quantity of the insects is sufficient for each plant, when it is inoculated. 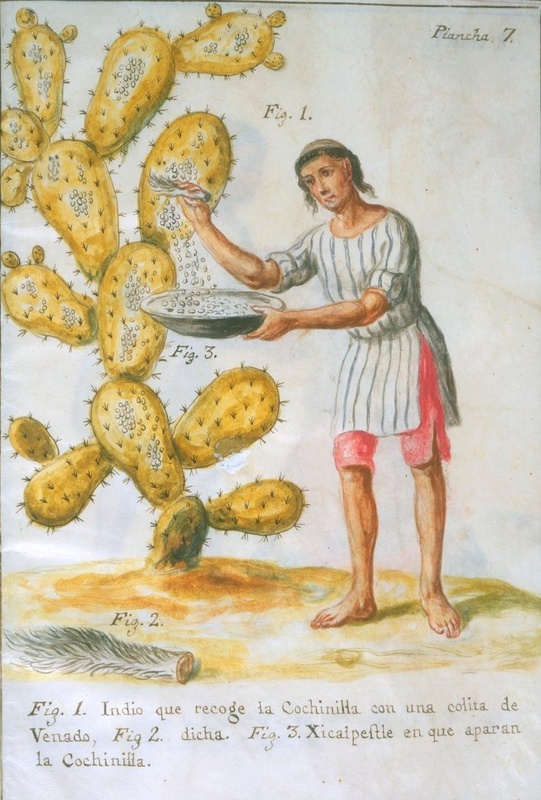 As the leaves increase, the whole plant is sure to be covered with the cochineal, when the insects are scraped off with great care. The cochineal is first collected about the middle of December. 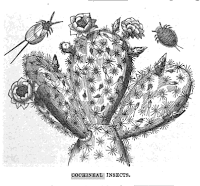 The insects are removed from the nopal with a knife, the edge of which has been blunted, or are carefully brushed off. 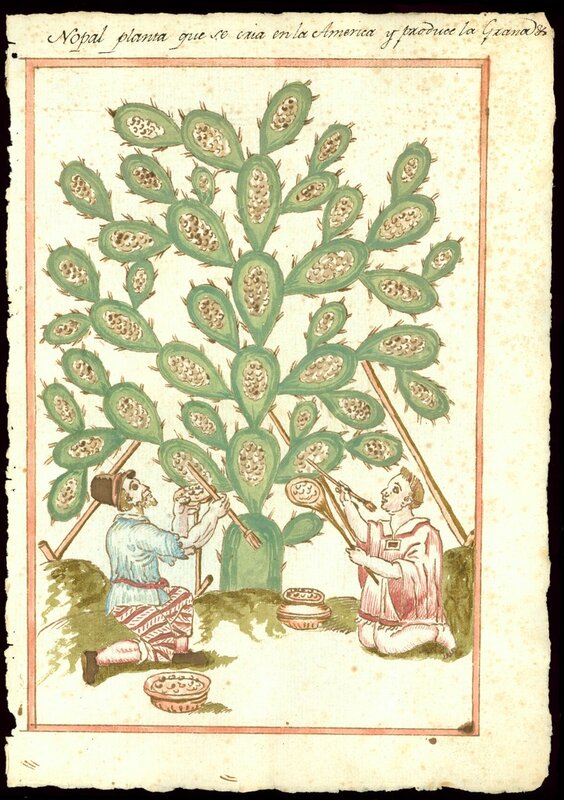 This labor is performed by the Indian women, who often sit for hours together by the side of a single plant. Photo of the purplish shells with three pepper corns on bottom left corner for size comparison.